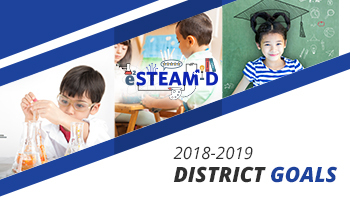 The Anaheim Elementary School District is committed to providing school environments that promote and protect children’s health, well-being, and ability to learn by supporting healthy eating and physical activity. We recognize that healthy school environments help support student learning and behavior. For this reason, our mission is to improve the health of the school community by establishing and maintaining life-long healthy habits. Our wellness policy guides how our schools make the healthy choice the easy choice. The Coordinated School Health Council is a committee of school administrators, community liaisons, teachers, school health professionals, food service employees, and community partners, which participate in the development, implementation, periodic review and update of the district’s student wellness policy. The duties of the Council also include the planning, implementation, and evaluation of activities that promote health within the school or community. The Anaheim Elementary School District assesses its Wellness Policy at least once every three years to ensure our schools are complying with the strategies. The district will use these results to take necessary steps to assure our students’ health continues to be a priority.